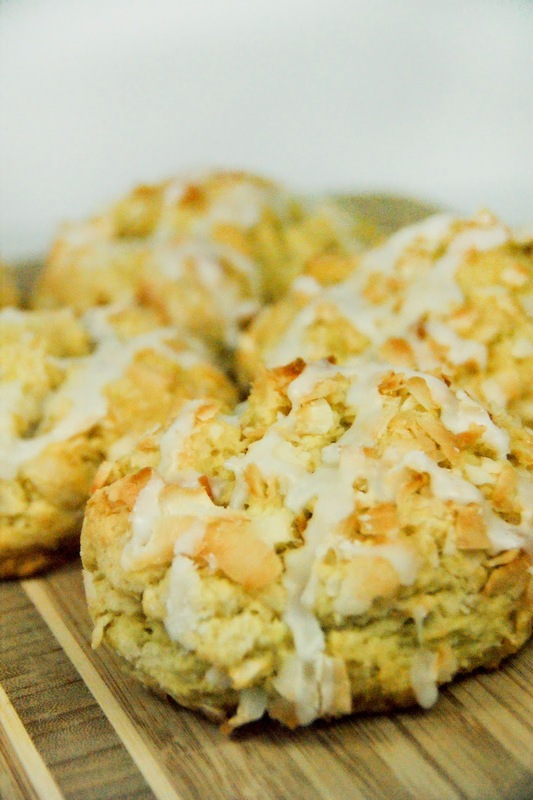 Visit the bakery today to enjoy a little taste of the tropics, our Coconut Scone. Our recipe includes large organic coconut flakes that are mixed in the dough with coconut extract. Then the scones are rolled in coconut flakes before baking. With vanilla icing and lightly toasted flakes makes for a perfectly decadent delight.